Although the exodus of expat teachers out of China continues, those 28, 378 foreign teachers now remaining all agree that other than the horrid winter air pollution, things are improving for them in China - albeit a gradual change. Below is a summary of how our 2014 survey participants answered 25 key questions. Qualifications are up, scams are down, and the pay is gradually moving up. Interestingly, 69% of China's expat teachers chose China as their first teaching assignment of their international careers. We were also proud to see that more and more expat teachers in China are opting to take TEFL, TESOL, or CELTA training in an effort to become better teachers which is truly admirable. This year 8% of those working in China hold such a certificate which is 5% better than last year. We hope this trend will continue and urge all of our teacher colleagues to get the best training possible so the kids of China can get the best training from us possible. Seek out a local university that provides live classroom training that allows for a proactive dialogue and realistic role play that is not possible with online and software-based courses. Also be sure the certificates issued are in fact - internationally accepted and recognized. As we enter into the new year, please take note that a record number of teachers were arrested and deported last year for working without Z visas and/or using fake diplomas and TEFL certificates to obtain employment. The Chinese government has made legal compliance and enforcement a top priority, so be sure you follow the law and not the verbal promises of some smooth recruiter friends. Although foreign teachers earned about 5.7% more money in 2014 overall, we are still the lowest paid expats in China, but in 2015 we intend to change this with your help. You can start right now by refusing to work for less than 250 yuan per hour if you have a real degree and Z visa. If you hold a degree in Education, you should not be working for less than 300 yuan per hour. 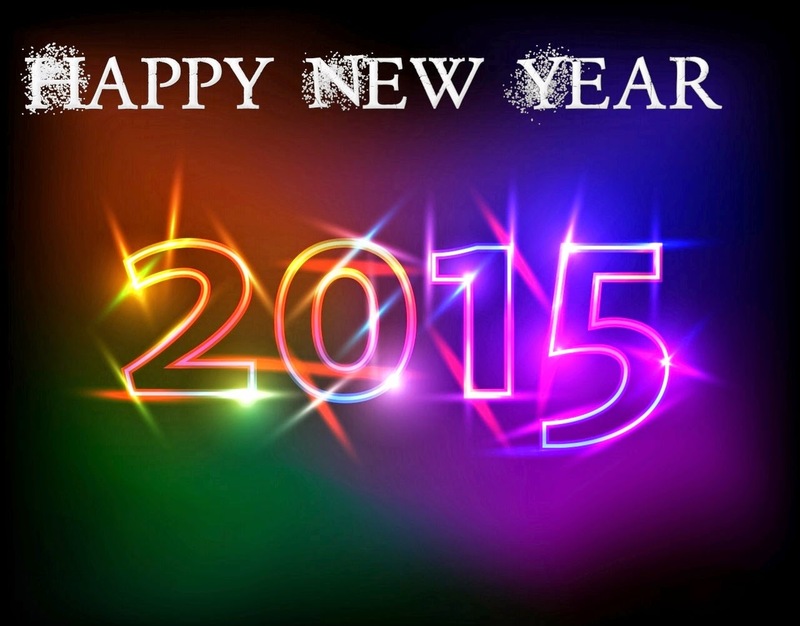 In closing, the CFTU volunteers joins together from 17 provinces to wish all of you the very best of health, wealth, and fun for 2015 to you and yours! 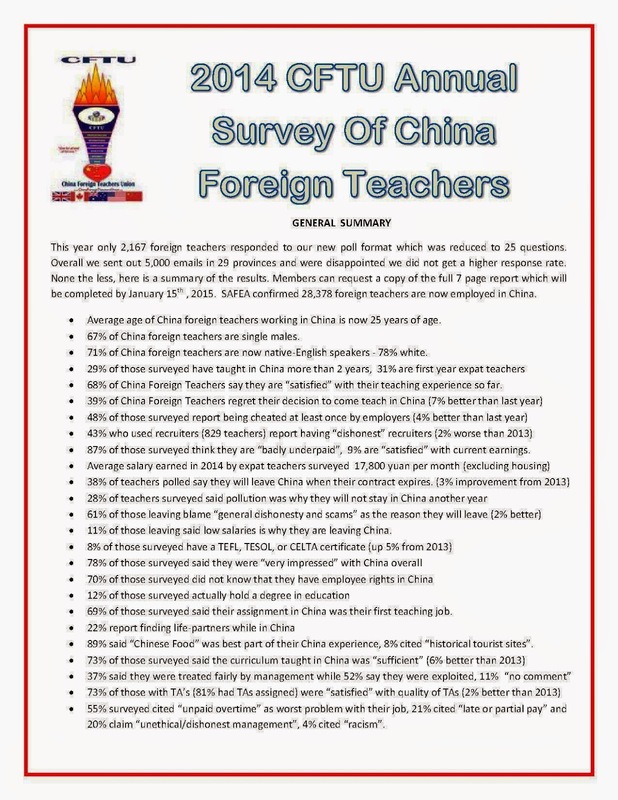 To get a free copy of the complete 7 page 2014 CFTUnnual Report, just send an email to 2014Report@ChinaForeignTeachersUnion.org.